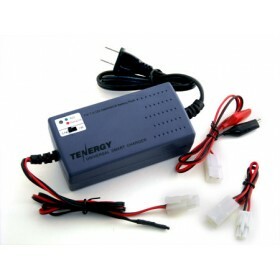 Designed to charge any 5S-10S cell NiMH/NiCd battery pack. Automatic charging cutoff protection from negative delta V.
Patent pending “Watchdog” technology provides maximum protection. Standard Tamiya and temperature sensor installed with charger, one set of female Tamiya to alligator clips and one standard female Tamiya to small male Tamiya included. 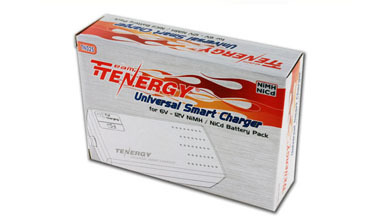 Ideal for most NiMH packs for RC cars and airsoft applications.